In Chapter 13 bankruptcy, you keep your assets while you make monthly payments toward your repayment plan. You submit agreed-upon payments to your Chapter 13 bankruptcy trustee. After you file for bankruptcy, an automatic stay goes into effect, which protects you from further harassment by creditors by preventing them from contacting you or engaging in further collection activity. Instead, creditors can communicate only with your attorney or your bankruptcy trustee. 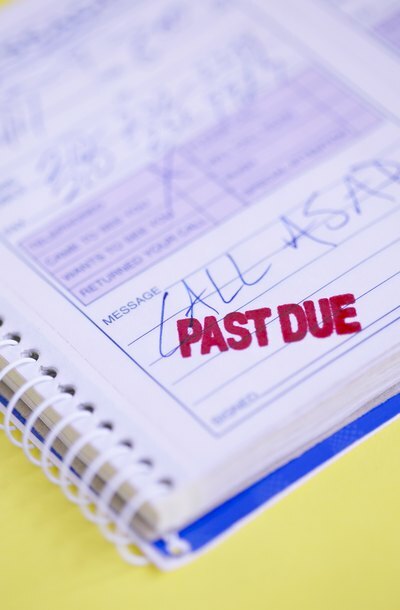 You may request a voluntary dismissal of a Chapter 13 bankruptcy case after you begin the repayment plan if you change your mind about bankruptcy or you learn that filing for bankruptcy may not erase some of your debts. The court can also dismiss your case for a variety of reasons, including your failure to complete the credit counseling requirement, not paying the required court filing fee or failing to provide tax returns. If your bankruptcy case is dismissed, you will lose the protection of the automatic stay and your financial situation reverts to the way it was prior to filing for bankruptcy. For example, if you are behind on car payments, the lender can initiate repossession procedures after dismissal. Also, your credit score will be negatively impacted following a dismissal because the bankruptcy case appears on your credit report even though you did not receive the benefit of completing the Chapter 13 repayment plan. It may be possible to reinstate or re-file your Chapter 13 bankruptcy case after a dismissal. If the bankruptcy court dismissed your case, you may be able to correct the reason the case was dismissed and ask the court to reinstate your case by filing a Motion to Reconsider. Often, you will simply need to correct something minor, like providing the court with requested tax returns. To have a dismissed bankruptcy case reinstated, you must move quickly to correct the mistake and request the reinstatement. If it is not possible to reinstate your bankruptcy case, you can re-file a Chapter 13 or Chapter 7 bankruptcy petition but you must wait 180 days to re-file and complete the same procedures as your initial bankruptcy filing.